The Daily Law Blog: Friday Mail Bag: "Hey Daily, What is an Ancillary Probate?" Friday Mail Bag: "Hey Daily, What is an Ancillary Probate?" I am frequently asked to assist families with ancillary probates in oil and gas producing states such as Arkansas, Oklahoma, Wyoming and North Dakota. Wills, trusts and probate law can be complex enough when an executor only has to manage assets in one state. Managing assets in multiple states can be a very onerous task. It certainly helps to have counsel who can navigate the rules associated with a probate in each jurisdiction. Probates that occur in other states outside of the state where the decedent passed away (the domiciliary jurisdiction/estate) are called ancillary probates, or ancillary estates. Here is an example of a common scenario that may require an ancillary proceeding: A husband dies in one state, lets say Florida, owning a beach house, a bank account, and a car that was titled in Florida, and he also passed away owning a few oil and gas properties in various formations that were scattered around Arkansas (Fayetteville shale), Oklahoma (Woodford shale and the SCOOP), North Dakota (Bakken), and Wyoming (Niobrara). He owned the house and the oil, gas, and other mineral rights in his own name, and the rest of the assets were held with his wife, jointly. For the purposes of this example, assume that he also had a will that passed everything to his surviving spouse, who was his second wife. He also has two children from a former marriage. Can the wife just probate the will in Florida and be done? The short answer is no. Not only will the executor probably need to probate the will in Florida, but she will also need to probate the will in the mineral producing states also. Every state has jurisdiction over its real property, and every state's real property laws and laws of succession are going to be vastly different. Thus, the will must be probated in each state for the will to be recognized in that state. If the will is not probated in one of the other states, for example, Arkansas, then the the mineral property located there would not pass to the surviving spouse. It would pass to the children of the decedent from his former marriage instead. The surviving spouse will have to probate the will in Arkansas (as well as Oklahoma, North Dakota and Wyoming) for title to the minerals to pass to her. The expense associated with an ancillary probate depends on the particular state since each state has its own laws, but in the long run it is worth the effort to probate the will because it could be the difference in owning the oil, gas, and minerals, or not owning them. Of course, if you have assets in different states, and you are reading this, you can avoid all of these probates with a little estate planning. I'll discuss how all of these probates can be avoided with careful . C. Michael Daily is an oil, gas, mineral law, and probate attorney with the long-established law firm of Daily & Woods, P.L.L.C. and is licensed to practice oil, gas, mineral, and probate law in Arkansas, Oklahoma, North Dakota and Wyoming. Oil, gas and mineral law attorney C. Michael Daily can be contacted by telephone at 479-242-3953, by email at mdaily@dailywoods.com, or by regular post at 58 South 6th Street, Fort Smith, Arkansas 72902. C. Michael Daily accepts oil, gas, mineral and probate cases in all Arkansas Counties, including Columbia County, Union County, Pope County, Franklin County, Sebastian County, Faulkner County, Van Buren County, Conway County, Johnson County, Pulaski County, White County, Searcy County, Scott County, and Cleburne County, Arkansas. 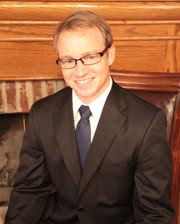 C. Michael Daily represents mineral producers at all stages of production, assists mineral owners with ownership disputes, and represents his clients in state, federal court and before the Arkansas Oil and Gas Commission. You can follow Oil, gas, and mineral lawyer C. Michael Daily via social network using any of the social network links in the right hand column of the page. Disclaimer: This blog is for informational purposes, is certainly not to be considered legal advice and is absolutely not a substitute for any of the benefits that are associated with the attorney-client relationship. Your case is unique--if you have an Arkansas oil, gas, mineral law or probate question, you can contact C. Michael Daily.